Editor’s note: Virtual 3-D tours that let buyers walk through photo-realistic models of homes are starting to catch on in a big way. Inman reporter Teke Wiggin found that producing a 3-D tour is a snap, and the results — especially when paired with virtual reality (VR) headsets that will soon become ubiquitous — are spectacular. Step 1. Position the camera in the spot you want to scan. 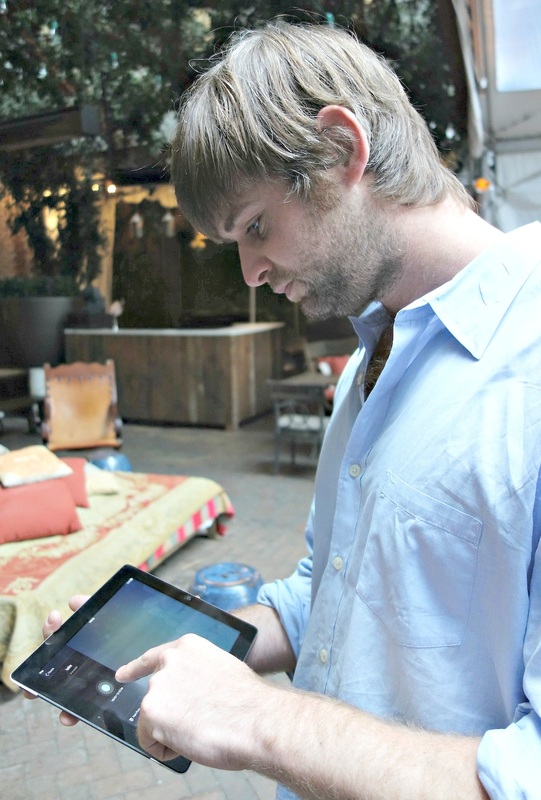 You’ll need to scan from many locations — 70 on average — to capture an entire home. Step 2. 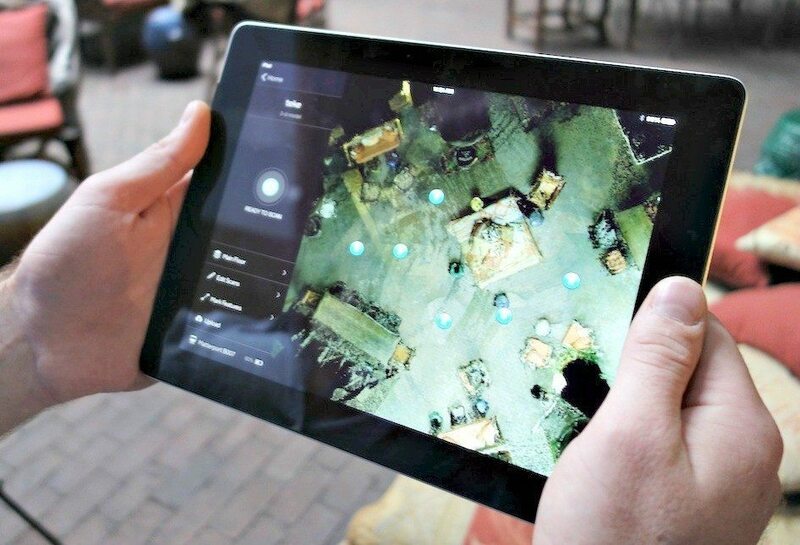 Open the Matterport iPad app, and press the blue button that says, “Ready to Scan.” Pretty straightforward! 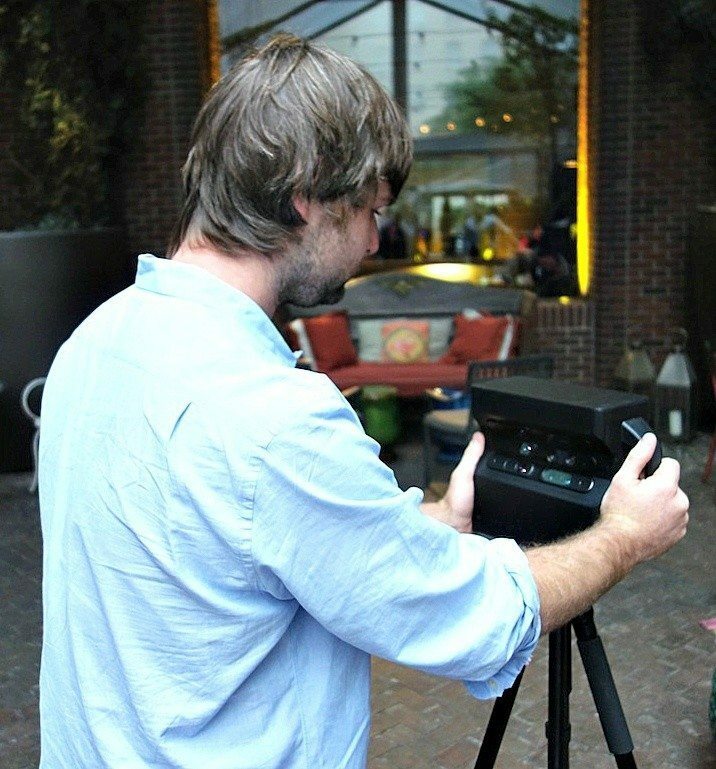 The camera will rotate 360 degrees, snapping photographs that give Matterport’s models their photo-realistic quality, and collecting readings from infrared sensors that infuse the images with a 3-D feel. You circle the camera as it spins to stay out of view and avoid scanning yourself. Each spin takes about 30 seconds. 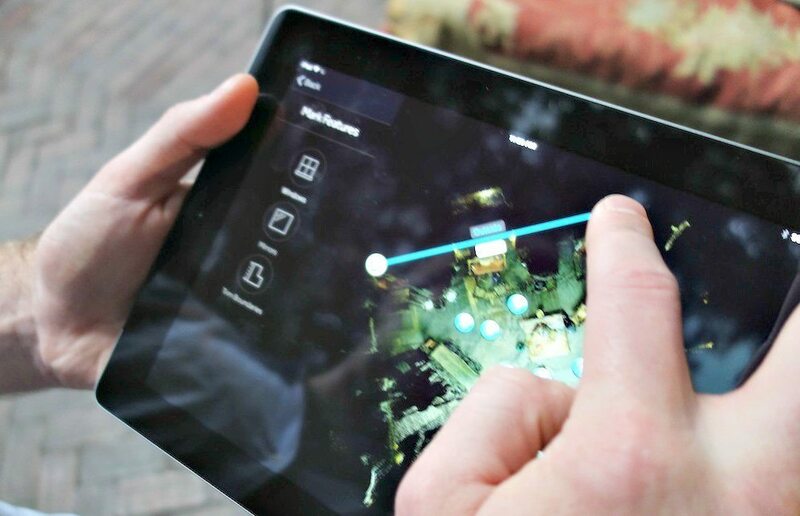 Throughout the scanning process, you can see a top-down view of the space you’ve mapped on the iPad app, so you know what gaps you need to fill in. Every blue dot marks a spot where you conducted a scan. These dots represent the vantage points that you’ll be able to hop between when you use the model. Step 3. Once you feel like you’ve covered the premises, you’ll need to mark windows. 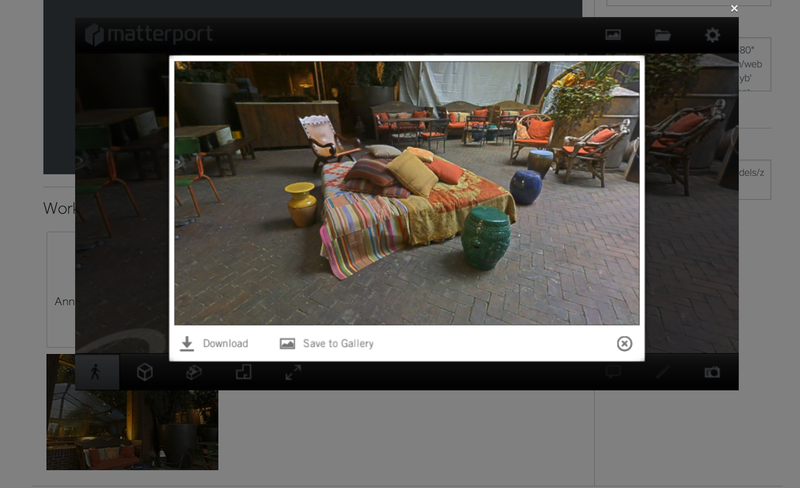 That tells Matterport’s software to process only 3-D data captured for the space between the camera and the window, and to exclude data for space outside the window that could extend beyond the camera’s range. You’ll also need to mark mirrors, since they can trick the camera into believing that their contents represent actual space rather than just a reflection. You can also tweak the boundaries (as I did below) of a scan if you want to trim some spaces from the 3-D model, like a boiler room. Step 4. 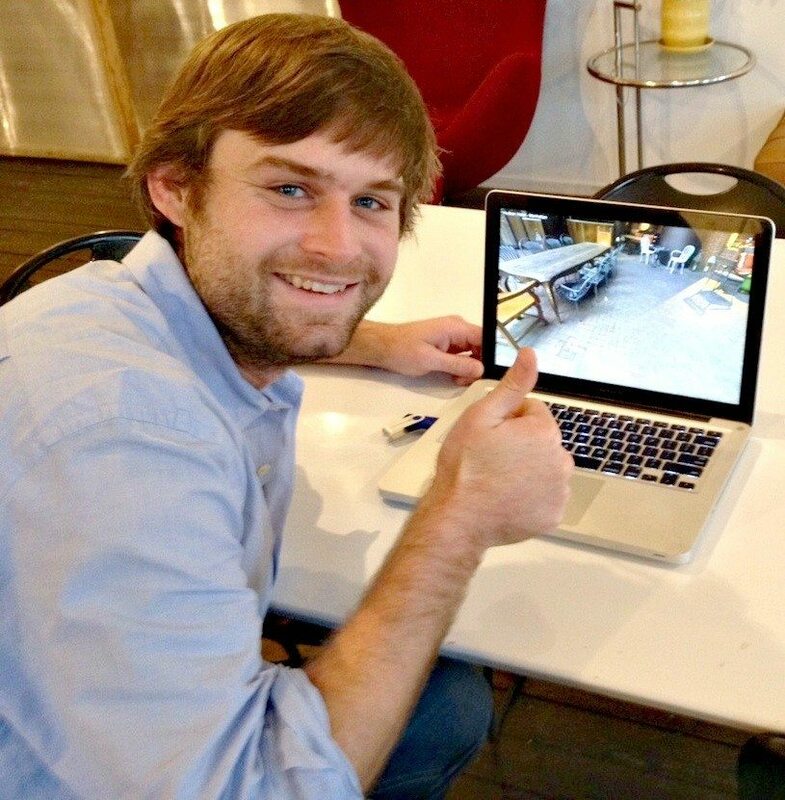 When you’re done marking features in the model, tap upload to transfer the data to Matterport’s processing platform, which will convert the data into a photo-realistic 3-D model. The upload and rendering should take from one to two hours. 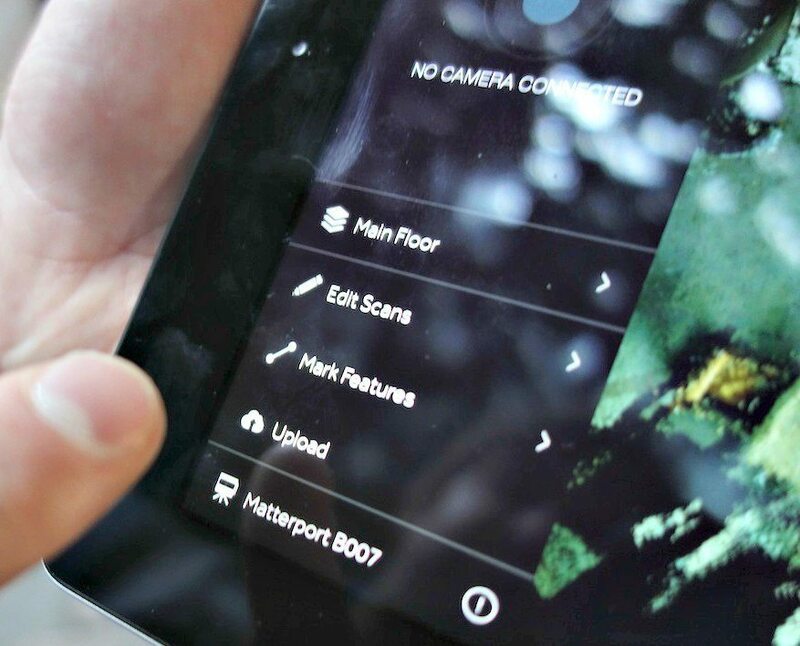 You’ll receive an email when the process is complete, notifying you that your model is ready for viewing or management within the Matterport content management tool. Here’s me tooling around in the model. In the beginning, you can see its “dollhouse” view, a bird’s-eye perspective that makes it easier to digest a home’s layout. Look for virtual reality (VR) headsets that are coming onto the market to transform 3-D models into immersive experiences. Facebook CEO Mark Zuckerberg has said that he sees virtual and augmented reality as important parts of a “new major computing platform” — an innovation of the same magnitude as smartphones that only comes around every 10 or 15 years. Having tried out some VR goggles, I can appreciate the hype, as well virtual reality’s potential applications in real estate. 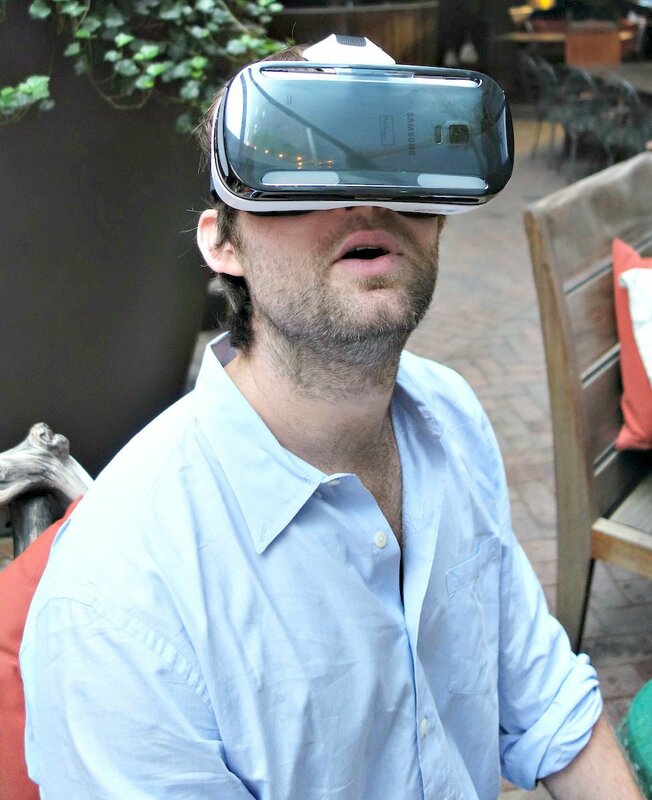 A prototype of Samsung’s Gear virtual reality (VR) headset — which is powered by Oculus Rift — put me smack in the middle of a Matterport model, so that I felt like I was actually standing inside a home. I could turn my head to look around the home, and move about inside it by focusing on blue circles that appeared in my field of vision. I’m dramatizing the experience here, but it’s possible I gaped when I tested this puppy out for the first time. 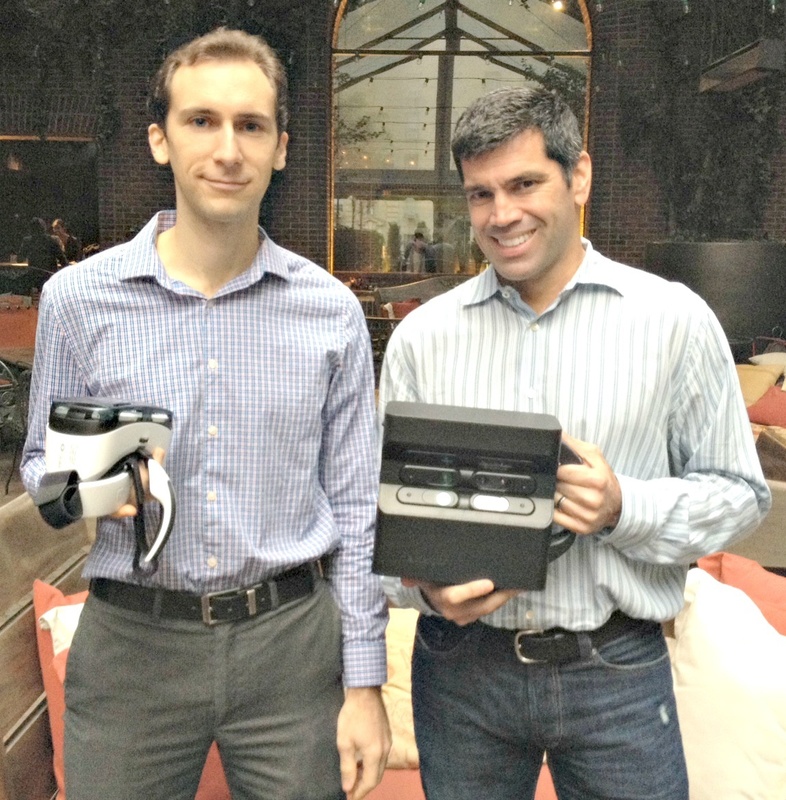 Thanks to Matterport co-founder Matt Bell and CEO Bill Brown (pictured below), who showed me the ropes in a courtyard at New York City’s Hudson Hotel. Scanning the courtyard took about 15 minutes. Scanning your typical home takes somewhere around two hours, if you know what you’re doing.